You can keep your teeth healthy by eating a balanced diet, practising good oral hygiene and going for regular dental check-ups. Tooth decay is a common problem, but can easily be prevented. Every time you eat and drink, your teeth are exposed to acid produced by the bacteria naturally found in your mouth (plaque). If the acid stays in contact with your teeth long enough, it can wear away the enamel of the teeth. This can lead to cavities and the start of tooth decay. Acidic foods and foods high in sugar are well known to cause tooth decay. Acidic foods and drinks (with a pH below 5.5), such as beer and wine, herbal teas, orange juice, sports drinks and fizzy drinks, can cause tooth decay. Avoid consuming sugary foods and drinks regularly. Chewing toffees or sweets that can stick to your teeth or snacking or sipping on foods high in sugar too often is the leading cause of tooth decay. 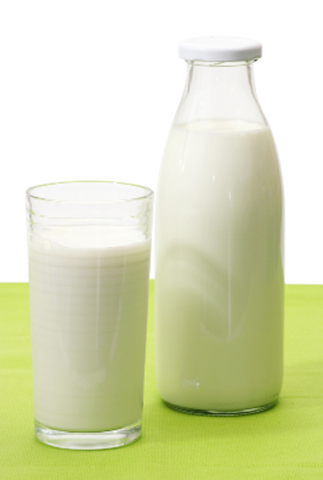 Dairy contains the minerals calcium and phosphorus and the protein casein. These nutrients support the normal structure of teeth and contribute to building and maintaining strong teeth. As milk has a pH above 6, it is not acidic. Choose water or milk over sugary or acidic beverages to help protect your teeth. This is especially important for children. Eating hard cheese after a meal stimulates saliva flow in the mouth. This can prevent the build-up of acid on your teeth, which can occur specifically after eating sugary foods. Therefore, eating cheese after a meal can help to protect your teeth against decay. 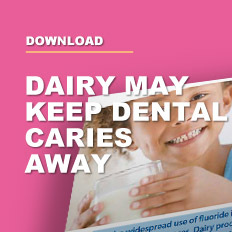 Plain or sugar-free yoghurt has either a neutral or a beneficial effect on teeth. 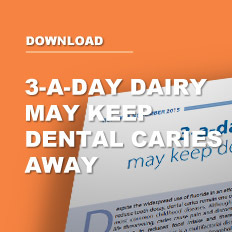 To smile with confidence, make sure you have three servings of dairy a day! 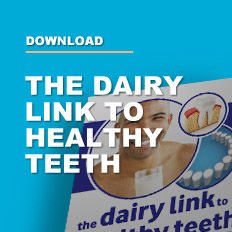 3-A-DAY dairy will give everybody in the family enough calcium, phosphorus and protein to build and maintain healthy teeth.